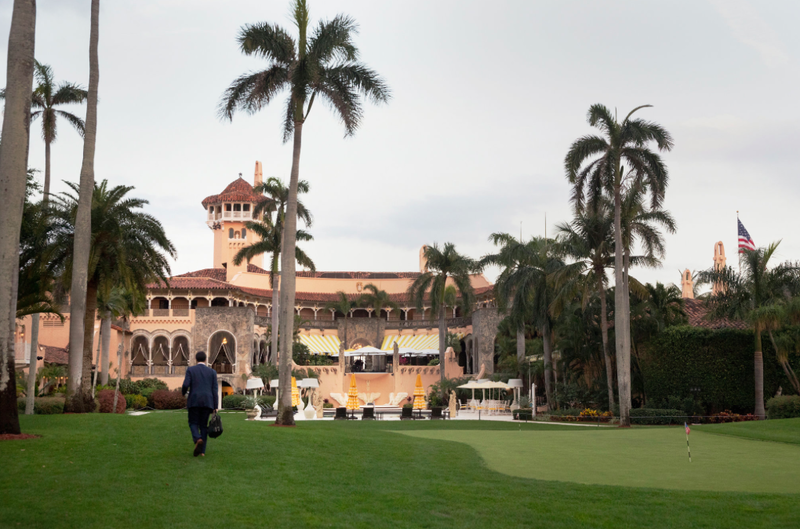 As our kissin’ cousins at Two-Daily Town have dutifully noted, Boston Herald columnist Howie Carr is not only a charter member of the local Donald Trump fanboy club, he’s also a member of Trump’s swanky Florida resort, Mar-a-Lago. As is New England Patriots coach Bill Belichick. And now they’ve made their way into the swanky New York Times. Trump, Carr, Belichick, and ??? Who rounds out their golf foursome? UPDATE: Did we say boldface? We meant baldface. This entry was posted in Uncategorized and tagged Bill Belichick, Boston Globe, Boston Herald, Charter Coat Holder, Donald Trump, Ellen DeGeneres, hairdo-in-chief, hardbleeding staff, Howie Carr, Jimmy Kimmel, Kevin Slane, Mar-a-Lago, Mark Shanahan, Matt Damon, Meredith Goldstein, Namesniks, Nicole Yang, Oscars, Palm Beach, sinergy, snakey local broadsheet, Super Bowl LI, Tim Gray, went over like the metric system. Bookmark the permalink.